Derek has tried over 135 jury cases to verdict, winning over 80 percent. His law practice involves complex civil litigation with a focus on trial work. Derek represents companies and individuals in cases involving death, personal injury, product liability, liquor liability, false imprisonment, insurance fraud, professional negligence, and white collar criminal matters. His regulatory work includes representation of accounting professionals before the Oregon Board of Accountancy and defense of hospitality clients before the Oregon Liquor Control Commission. He is preferred NW counsel for Saks Fifth Avenue. Derek is preferred counsel for ATTIC, CAMICO, Canal Insurance, Crum & Forster, Falck, U.S.A., FedEx Express, National Interstate Insurance Company, Republic Services, Inc., RLI Transportation, Securitas Security Services USA, Inc., Snap-on Inc., Sunbelt Rentals, Swift Transportation Company, United Rentals (North America), Inc., and VanLiner Insurance. 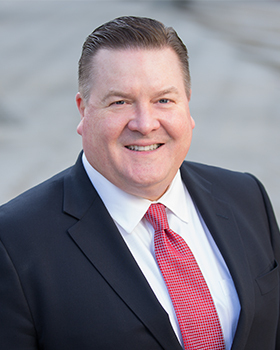 Prior to private practice, Derek served as a Deputy District Attorney for Multnomah County, where he tried major felony criminal cases including aggravated murder. Since leaving the District Attorney's office, he has served as a special prosecutor for the District Attorney's office in conflict matters. He is among a select group of attorneys chosen by The Portland Police Union to represent police officers involved in deadly force incidents. Derek served as chair for the ALFA International Transportation Practice Group for the year 2016-2017. He was the Vice Chair in 2016, and Program Chair for the 2015 ALFA International Transportation Practice Group Seminar that was held in Coronado, California. He is a member of the Multnomah County Bar Association, the Oregon Association of Defense Counsel, and the Washington Defense Trial Lawyers. Derek is also a member of the American Bar Association, and the Oregon Restaurant and Lodging Association. Derek was a board member and treasurer for Cardinal Football, a non-profit corporation that serves Lincoln High School. He served as an assistant football coach at Lincoln High School and was a member of the National Federation of High School Coaches Association. Authored chapter pertaining to statutory time limitations for Liquor Liability matters. Published in April 2014 by the Oregon State Bar Professional Liability Fund. "Premises Liability for Third-Party Acts"
"Legal Update: Criminal Law Issues"
"CSA - From the Boardroom to the Courtroom"
"Missing Driver - Legal Strategies"
"Winter Driving and Preserving Evidence"
"Meditation - The Empathetic Approach"
"Making Winning Presentations to the Court in Motions to Suppress"
When Derek is not in the office, you can find him exercising, traveling, fishing, socializing, and following his Oregon Ducks.